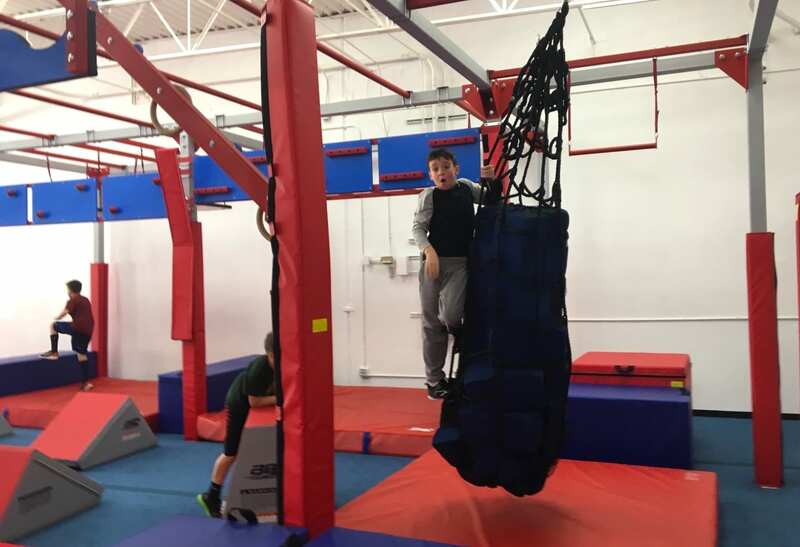 When local mom, Jennifer Halla, visited an American Ninja Warrior-style gym with her two sons in Chicago, she thought we needed something just like it here in Austin. 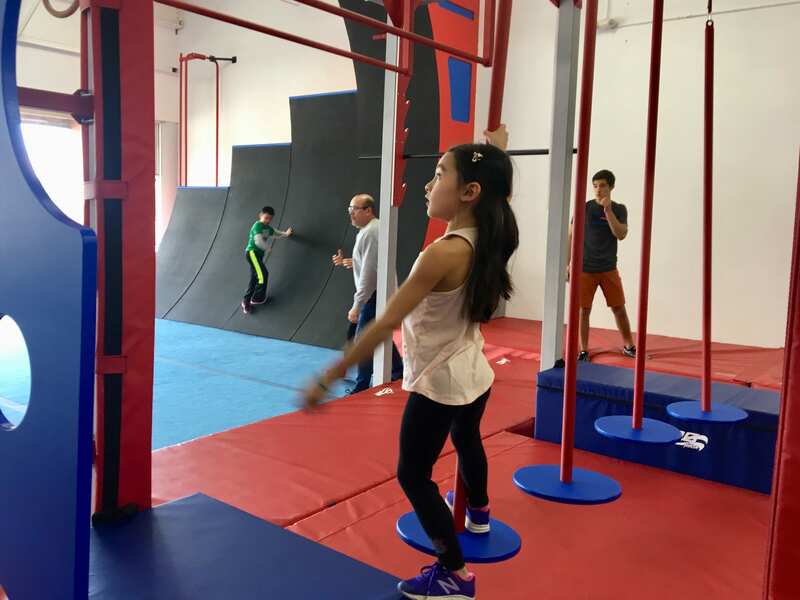 Lucky for us, she fulfilled this dream and has recently opened Austin Ninjas, a sparkling new indoor space full of fun challenges and obstacles. 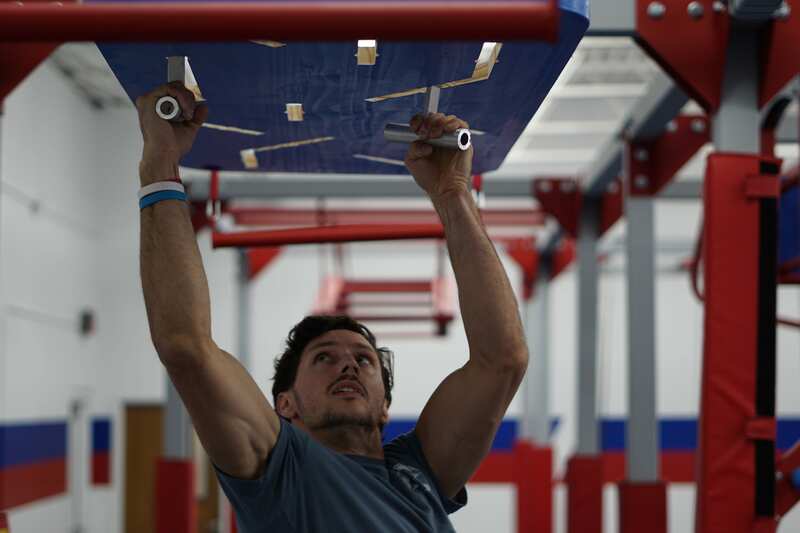 Not only is this North Austin gym outfitted with a proper ninja warrior course, kids and adults will be trained by Damir Okanovic, an actual contestant on season 9 of NBC’s American Ninja Warrior television show! 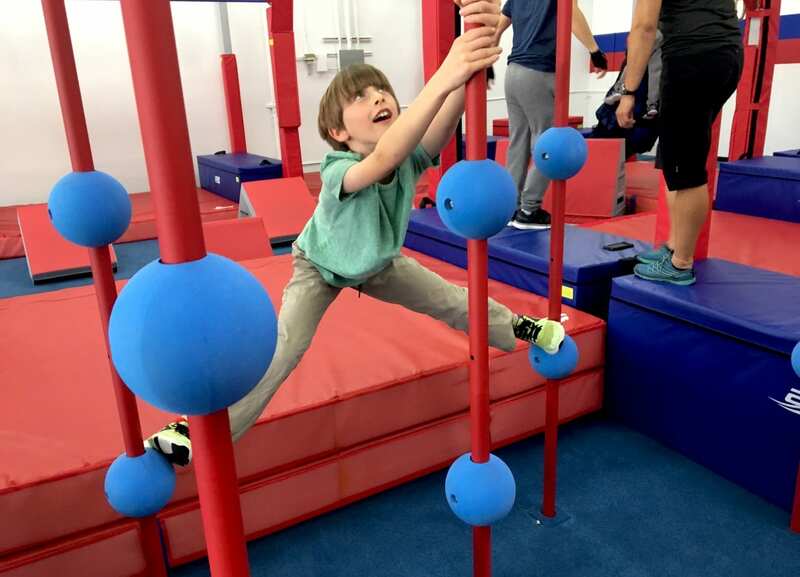 Climbing, jumping, and swinging on the ninja warrior course is great exercise as well as great fun. A nice alternative to group sports for kids, this type of workout builds confidence as kids try (and fail) and try again to reach their goals, all on their individual timeline. 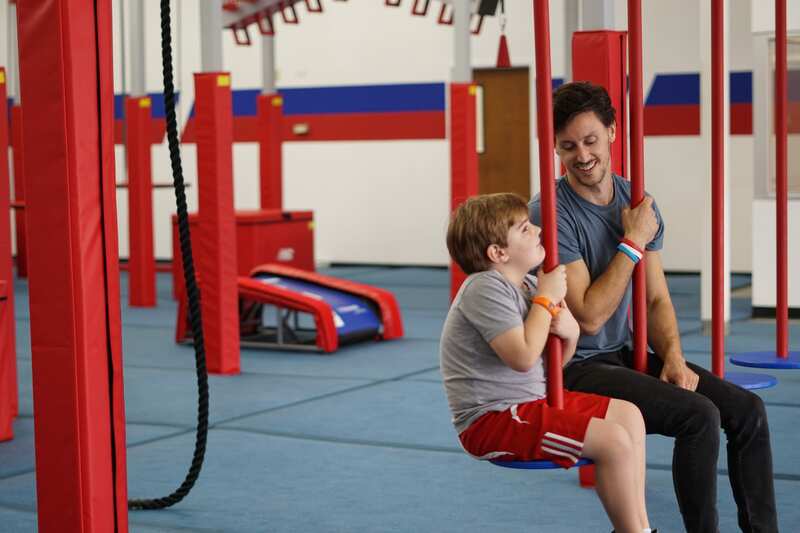 Open to kids ages 5 and up, with evening hours for those ages 14 and up, the gym is notably a fantastic addition to Austin’s entertainment options for older kids. Kids are invited to try out the course during daytime open gym hours, and adults can give it a go during evening hours. Click here to view the schedule. Open Gym prices are $16 for youth and $20 for adults. Youth ages 5-17 can also sign up to participate in a 55-minute class, held Monday – Friday. For only $25, you’ll be grouped by age, with 8 participants and 1 instructor guiding you on the course. Click here to sign up for classes. We had the chance to bring our family in on a special preview day, and naturally we had a blast. 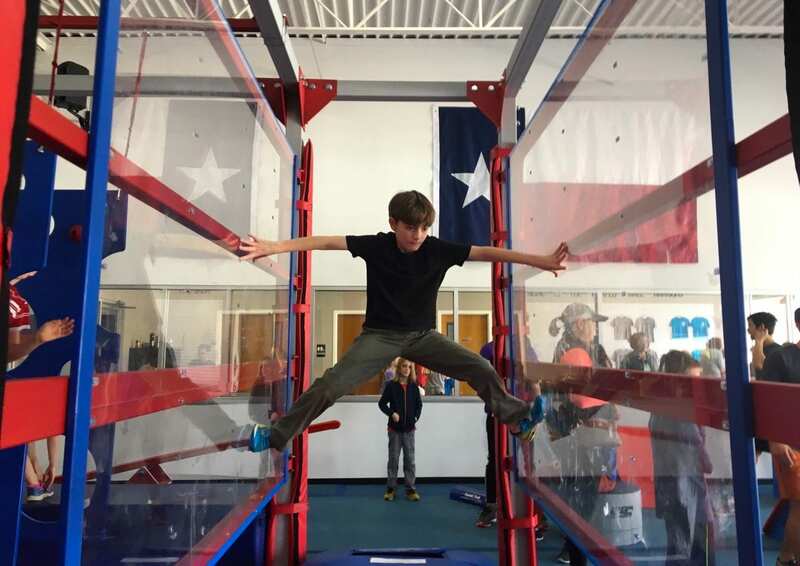 Our kids are huge fans of the American Ninja Warrior television show, and they were pumped to get to try out this awesome equipment. The facility is clean and bright, and the staff is so friendly and happy to be a part of this new venture. You’ll find a comfortable waiting area where grown-ups can watch their kids through a big glass window. So parents, take note that you can simply sit back and relax while the kids climb around (or take note of all the fun things you’d like to try during evening grownup hours). Naturally, Austin Ninjas also offers birthday party packages, already booking now, and they will soon put out info about summer camps. You can learn more by visiting their website, and stay tuned to their Facebook page for special events.